Since I decided to call it quits on recovering my couch, I’ve got drop cloth canvas to last me a lifetime, so I made this wreath at Christmas to hold Christmas cards, but never got around to posting it. It’s amazingly simple, requires only three “ingredients” and will take you about an episode of Downton Abbey to put together. Are you addicted too? *Canvas drop cloth (or other canvas of choice). Tear strips of your canvas into 4″ widths. Wrap your wreath. Pinch large sections of the canvas together. 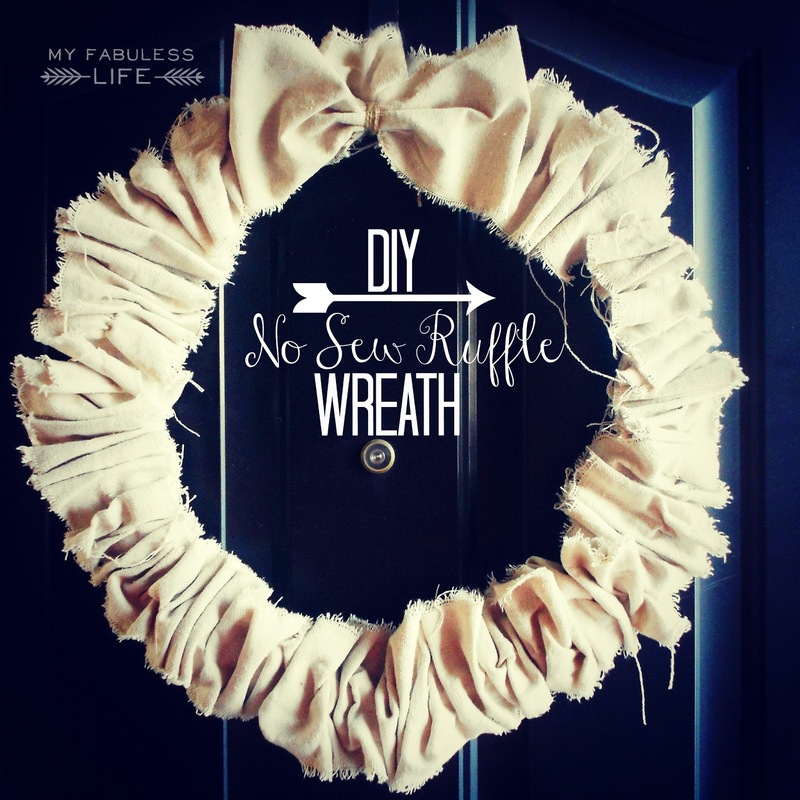 Run a long stripe of glue on the wreath. And tack the ruffle down. Repeat all the way around and you’re done. I used clothespins to clip Christmas cards onto mine at Christmas time, and now it’s sitting on my Valentine mantel. I imagine it will be roving throughout the house as the year goes on–ah the beauty of a neutral wreath. This wreath looks awesome! I’m definitely going to try this one sometime! Newest follower! Thank you! It really is SO easy! That’s Awesome!! I love drop cloths, so many uses! I love its durability too. I made a bench cover out of a drop cloth and posted it today. Lovely, wil try this for my valentine decor. Thank you so much. You’re very creative!